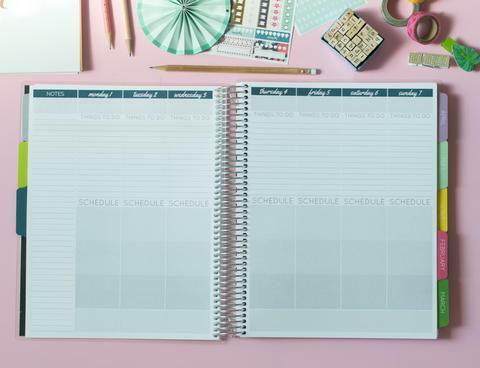 Below: If you struggle to keep your life organized, one of these four awesome planners will help get you on track! I never owned a planner until last year. I saw one a fellow blogger and business mama had created and it was so pretty that I just couldn’t help myself. It’s been a year, and although I didn’t use it religiously, it really did help me get better control of certain areas of my life. If you’re a person with several irons in the fire, a planner will help keep your brain from exploding. Everything you write down is one less piece of information you have to store in that overworked noggin. There are a TON of planners on the market and just like no two people are exactly the same, no two planners are either. A planner that works for the way my mind runs might not be the best bet for the way your mind does. This post contains affiliate links. Purchases made through these links may earn me a small commission at no extra cost to you. 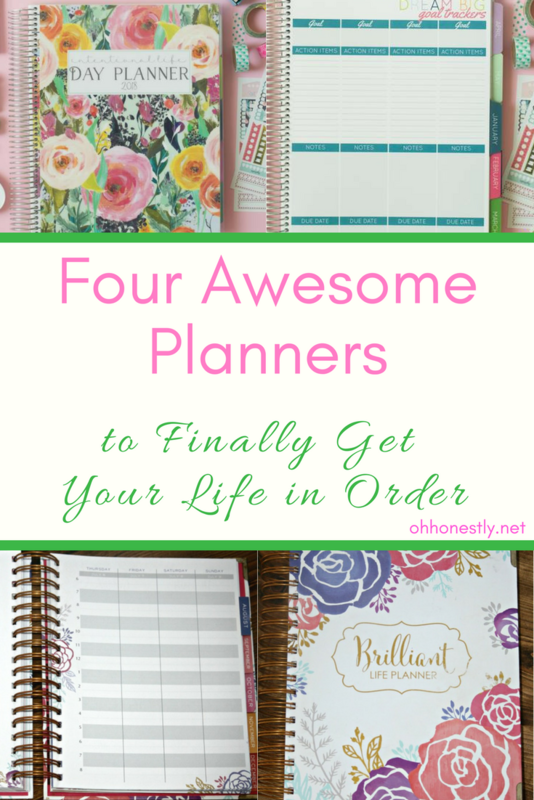 With the New Year upon us, I want to highlight four awesome planners that I know you’ll love. Choose the one that will best fit your needs and see if it helps you this year. I have a feeling it will! 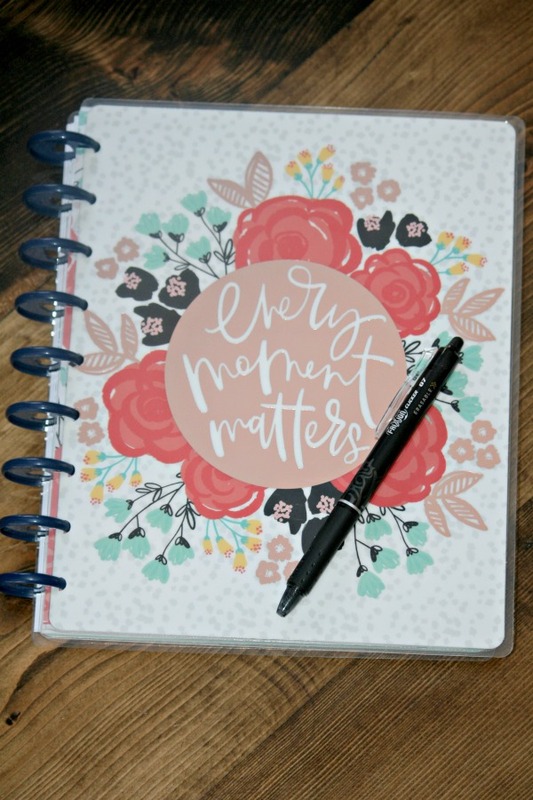 This planner was my first attempt at using one and I really liked it. The first thing you should know is that it’s beautiful. That might seem unimportant, but I truly believe that you’re more likely to use it if it’s pretty. I am, at least. It’s also heavy-duty. The cover is a thick cardboard with corners that are reinforced with metal, the pages are a good weight so ink doesn’t bleed through, and the divider tabs are laminated. If you know you’ll be hard on your planner, this one will stand up to the treatment. The planner is also thick and fairly heavy… it has a lot of pages… so if you plan to carry it around with you from place to place, this could be a potential downfall. 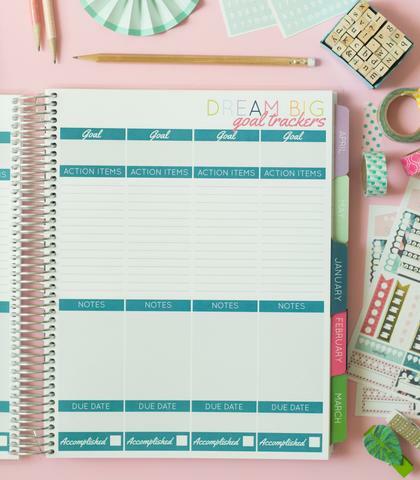 Pages include Goal Planning and Mapping, Project Planners, Habit Trackers, Notes, Monthly Calendars, Weekly Time-blocked Layouts, and Reflections. This year I decided I wanted a planner that was a little smaller than last year’s and that didn’t have a lot of the extra pages (because I didn’t use most of them), so I went with the Happy Planner. 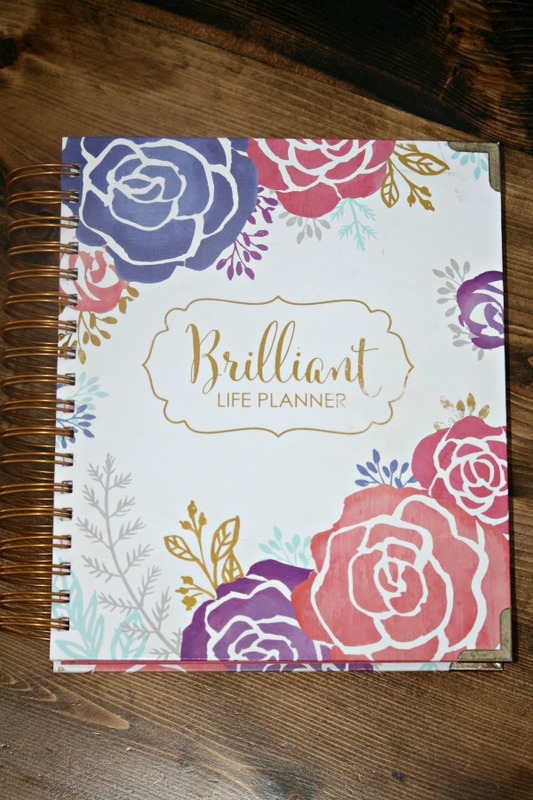 The dimensions of the Happy Planner are the same as the Brilliant Life Planner, but it’s not as bulky. The thing I really like about it is that you can add pages to it. You’re not stuck with the ones they think you’ll need; you can add the ones in that you know you’ll need. I’ve thought about the things I could really use, like a budgeting spreadsheet and a weekly meal planner, found free printables online, printed them off (scaled to 80% of the full size), and added them in (I bought the special hole punch). The other thing I like about this one is that the days are blocked off as Morning, Afternoon, and Evening instead of in hourly blocks. For my schedule, it makes more sense to use those areas for my “Gotta Get This Stuff Done” list instead of having specific tasks to do at specific times. However, if you have a lot of scheduled meetings, the hourly time blocks (like in the Brilliant Life Planner) might be more beneficial to you. Now we’re moving into planners I’ve never used, but that I’ve heard a lot of other people recommend. These planners are made by my friend Carrie. Although I’ve never owned one, I have some of her other products and I can say with complete confidence that everything she makes is done with complete excellence and a ton of thought. These planners come in two sizes. The full size is 8.5 x 11 and the mini is 7 x 9. 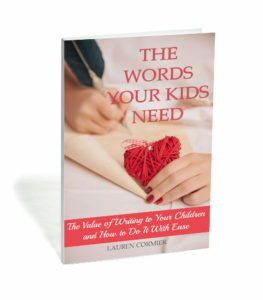 Pages include Important Dates, Goal Trackers, Notes, Monthly Calendars, and Weekly Layouts. These planners are cool because they’re fully customizable before you order. You choose the weekly layout you like, then you can add a ton of things onto it. There are pages for home, business, lifestyle, education, and more. If you want to manage a lot of different areas of life (like if you have a job and home school and do all the house stuff etc) all in one spot, this might be the best option for you. Once you dive into the planner hole, you might find that stopping at just a planner is hard to do. 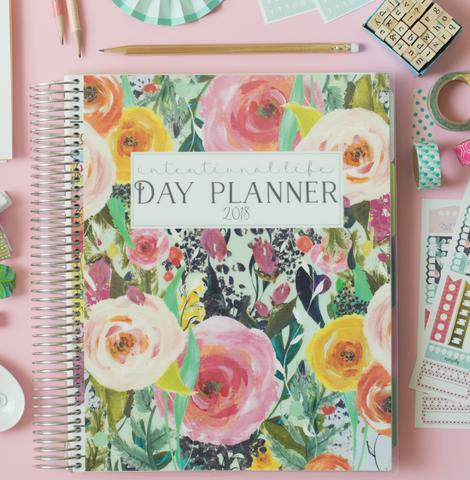 Here are a few accessories you might want for your planner. When I bought my first planner, I started out using a pencil because I knew I’d have to erase. Life doesn’t always go according to plan, right? Then someone told me about Pilot Frixion pens. They’re ERASABLE!! I got a pack of seven, which is awesome because I use a different color for each area of my life. It makes it much easier to glance at my planner, see something in blue, and know it’s a family thing, or see something in green and know it’s for work. I highly recommend these pens! Some people like to get creative with their planners. I know someone who turns her pages into a scrapbook of sorts by adding pictures, fancy lettering, and stickers at the end of each week. Trying to do stuff like that actually stresses me out (I can’t do the bullet journal thing because trying to make it look nice would take way too much mental energy), but if you’re artsy or crafty, look online for planner stickers. You’ll find tons of options, from ones you can buy to ones you can print off yourself. 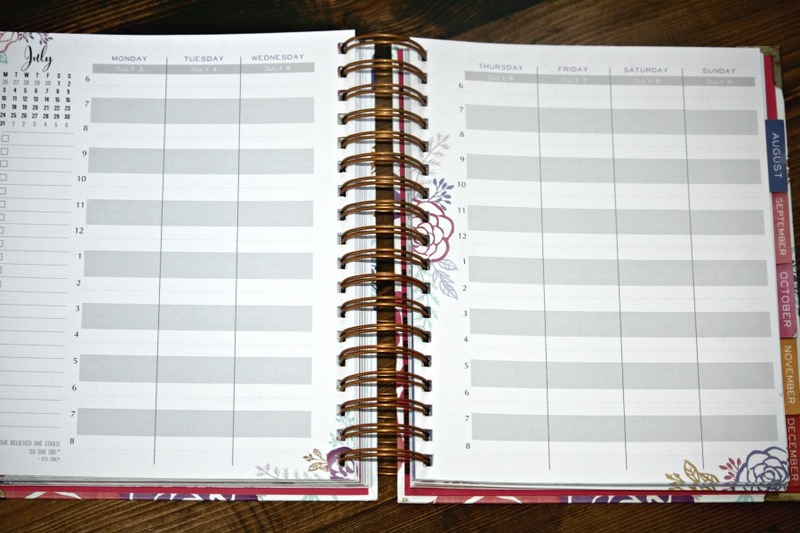 Most planners are bound in a way that doesn’t allow for extra pages to be added. However, if you go with the Happy Planner, you can buy their special hole punch and add pages to your heart’s content. I’ve added budgeting pages, blog planning pages, goal tracking pages, and a meal planning page (that I’ll reuse and move from week to week) to mine. 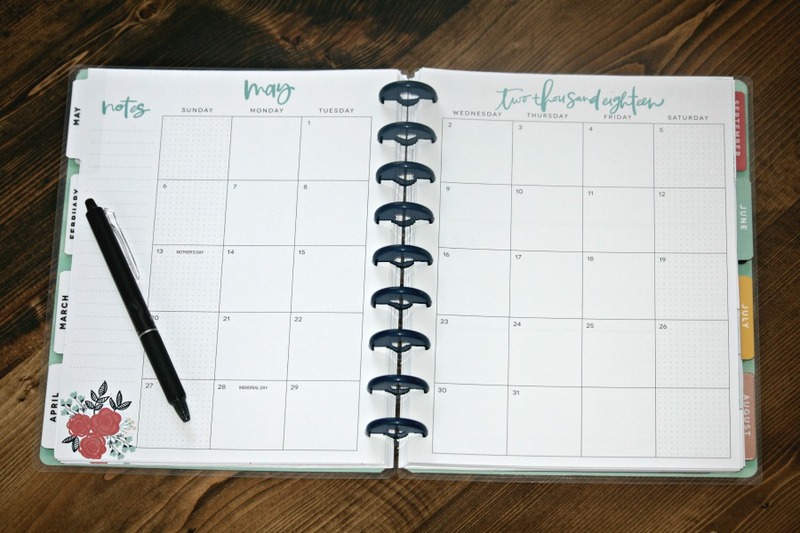 It may take you more than one planner to find the perfect one for you, but once you do, I know you’ll find it so helpful in keeping your life more manageable and organized. Happy planning! You have me convinced I need a planner. Time to get organized. Ooh, nice! I like that it has both the time blocks and the free space for each day! I have the Happy Planner. This is my 2nd one. You mentioned they have a hole punch which I never knew. I might purchase that…Where can I find the printables to add? And do they all have to be scaled down 80% when printing? Thanks! I just search Pinterest for what I need (i.e. “Free printable budgeting spreadsheet” or “Free printable meal planner”). If you have the standard sized planner, you’ll have to print them at 80% or they’ll stick out of the planner when you add them. If you have the bigger one, I think it’s standard paper size, so you could print at 100%. I will definitely look into it. I think I have the larger planner. Thanks!